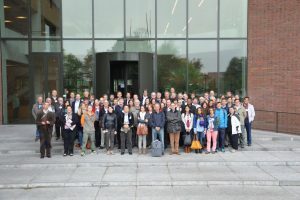 The initiative to establish the International Society of Economics and Social Sciences for Animal Health (ISESSAH) is taken during the last meeting of the NEAT network. The NEAT’s consortium aimed to design and develop educational materials and methods, disseminate them to partners and end-users, and evaluate their wider impacts on society. NEAT stands for “Networking to enhance the use of economics in animal health education, research and policy making in Europe and beyond” and was a 3-year project co-funded by the Lifelong Learning Programme of the European Union. All materials developed by NEAT are still available on-line.